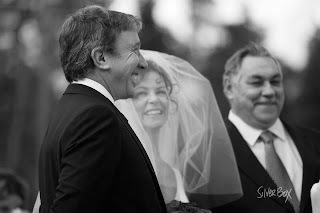 Jane + Tim Allen's Wedding "Aren't those the HAPPIEST wedding photos?!" “Aren't those the happiest wedding photos?!”. . . spoken by Entertainment Tonight's host in reference to Tim and Jane’s wedding photos featured on ET the Monday following their wedding. How exciting(!!!) to see SilverBox photos televised nationally and featured on Entertainment Tonight's Website and on Oprah just last week. 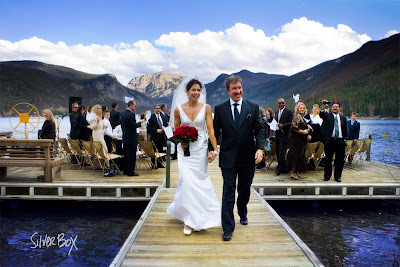 Jane and Tim’s wedding was the first at which I’ve been family member, guest AND professional photographer. Knowing this huge, multi-talented, lovable family from the inside-out made picture-making a JOY; just knowing everyone’s names from the get-go was a rare luxury! While I love Tim’s humor and talent, I love him more as a brother-in-law who is fiercely loyal to and supportive of his family and friends; who teases his nieces and nephews relentlessly; and who rallies the family regularly for fun & games and reunions. So Tim & Jane, thanks for hosting an incredible family event.